BMW Group’s sub-label Designworks showcased the new ‘FUTURELIGHT Camper’ at Las Vegas’ Consumer Electronics Show. The camper is developed in collaboration with The North Face, using its new progressive fabric materials entitled FUTURELIGHT. 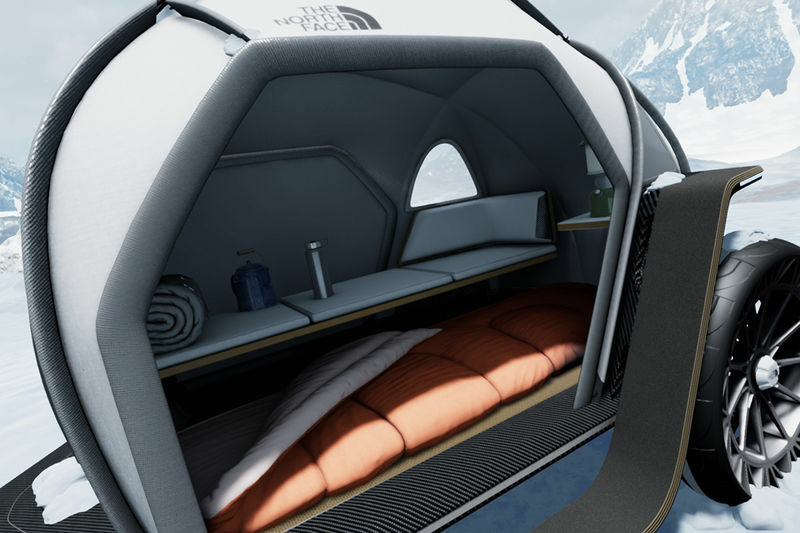 The duo believes that this is the future of camping and showcases the camper concept in conjunction with a virtual experience. Notably, FUTURELIGHT fabric is created using a Nanospinning method to result in a breathable, yet waterproof material.